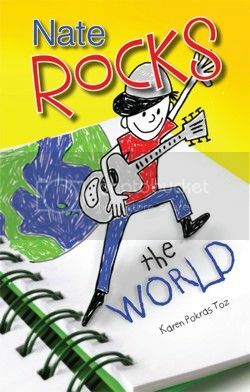 So many people ask me where I came up with the idea for Nate Rocks the World, my middle grade novel about a 10 year old boy who draws cartoons that come to life in his head, starring himself as the hero. My answer is always the same – my three children of course. My oldest son is an artist, my daughter, when she was younger loved to make up stories with all her dolls and animals, and my youngest son loves to role-play. But it’s not just my three children. The truth is, there is a lot of myself in Nate Rocks. I am a dreamer. I always have been, and I suspect I always will be. No - I didn’t dream of being an action hero or a cowboy as Nate does. My dreams usually involved singing and dancing on a stage (which looking back now is quite funny since I was the shyest little girl ever and really can’t dance or sing.) My favorite show was The Donny and Marie Show. For those who didn’t grow up in the 70s – this was what was called a “Variety Show.” There were a bunch of them on – Sonny & Cher, Captain & Tenille, & The Jackson 5 to name a few. But my favorite was Donny & Marie. They would come out on ice skates and sing, do some comedy sketches, and sing some more. My parents always let me stay up late on Friday nights to watch them. I used to pretend I was Marie Osmond – I had the big hair and big teeth, so it was only natural. My parents had wood floors that I could pretend ice skate on with my socks. Then I would use what ever I could find to be my microphone. Marie was ‘a little bit country’, but I preferred to be rock n roll. My cat was my audience as I put on my show. Sometimes I would tape record it on our clunky old machine, never to be played for anyone’s ears but my own. It was fun being an international superstar in my own head. Dream big and rock on! 1. Don't be afraid to listen to your characters. When I was writing Nate Rocks the World, I had a general idea of where I wanted the book to go. However, once I really got to know my characters, I changed direction completely. Now looking back, I can't imagine the book turning out any other way. 2. Include children in the proper age group to act as beta readers. In my case, I have a friend who is a 4th grade reading teacher. He had his class read the book and give me feedback before it was published. 3. Have your manuscript professionally edited by someone who understands a child's voice. Karen Pokras Toz is a writer, wife and mom. 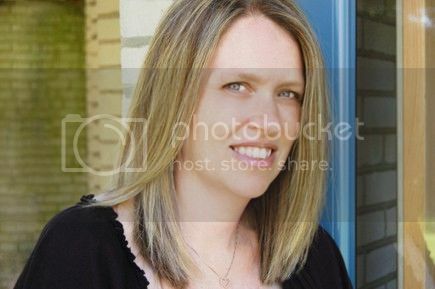 Karen grew up in Orange, Connecticut and currently lives outside of Philadelphia with her husband and three children. In June 2011, Karen published her first middle grade children’s novel for 7-12 year olds called Nate Rocks the World. 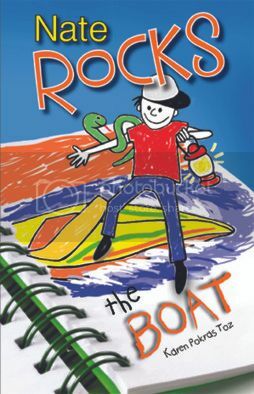 The second book in the Nate Rocks series, Nate Rocks the Boat, is to be published in the spring of 2012. Karen is a member of the Society of Children’s Book Writers & Illustrators (SCBWI), Association of Independent Authors (AIA), and the Independent Author Network (IAN). I love the idea of asking a teacher to have their class read the book to see if the voice is right! Thanks so much for having me on you blog today! Thanks for the advice. Many of my ideas come from the kids around me as well. They are such characters!